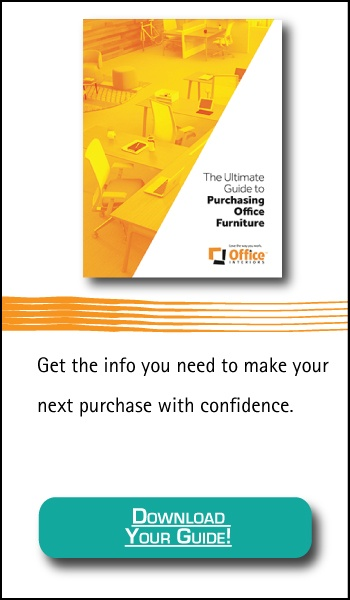 Everyone wants to feel secure that they are getting the best product for the best price when making a purchase; office furniture is no different. As such, we know that you will likely look at several different dealers before settling on the solution (and provider) that best fits your specific needs. At Office Interiors, we understand that we may not always be the best fit for every organization or project. That is why we have compiled this list of the seven best office furniture dealers in Nova Scotia. To remain impartial, I am recusing Office Interiors from this list. Atlantic Business Interiors has been providing office furniture and related services to Atlantic Canada since 1986. They believe it is their job “to help you create great experiences wherever work happens.” Offering office furniture, space design and installation services they have extensive experience servicing projects for businesses of all sizes. Their primary manufacturer partner is Steelcase. Located in Dartmouth, E3 prides itself on its customer service. They several guarantees including a price match guarantee, extended warranty guarantee and free installation if they miss a guaranteed delivery date. They offer a wide range of office furniture and services including coordinating ergonomic assessments, interior design and interior decorating. Their main furniture lines are Performance Furnishings and Source Office Furnishings. The only office furniture dealer in Nova Scotia with an Occupational Therapist on staff, Ergoworks has a keen focus on ergonomics in the workplace. They aim to provide solutions that create healthy and productive work environments. They state a 98 percent success rate in reducing pain caused by the improper use or configuration of office furniture and equipment. Their primary lines are Teknion, Global Furniture Group and KI. A member of the JD Irving family of companies, Chandler sales is based out of Saint John, NB but maintains offices in Dartmouth and Sydney. They are one of Atlantic Canada’s leading business to business suppliers across a variety of industries including office furniture. They offer space planning, installation, maintenance and warranty services; supported by an in-house AUTO-CAD team. Their primary manufacturer partner is Herman Miller. Based out of Halifax, InterSPACE aims to create cost-effective solutions for their clients by offering a wide range of products and services. They combine their client’s corporate and end-user goals to create a custom solution for each client project. Their primary lines are Hon and Knoll. Grand & Toy is a national chain (headquartered in Vaughn, ON) with a branch office located in Dartmouth. They focus on several product offerings including office furniture, office supplies, and managed print services. Their primary furniture lines are Global Furniture Group and Safco Products. Headquartered in Port Williams, but with an office in Dartmouth, Workplace Essentials’ mission is to be a single source provider for their customers’ office furnishings, equipment and service. They service all of Nova Scotia from their two locations and have a customer-centric focus. Founded in 1962, they have significant experience in the industry. They carry several manufacturers, but their primary lines are Global Total Office, Artopex, and Krug. Now that you are armed with some information on whom your options are, you might be wondering how best to compare these various office furniture dealers. From our experience in the industry, we find that the following four metrics will give you a pretty good baseline to compare your options. Measure their customer service experience with a metric such as Net Promoter Score? Offer the ability to customize their products or solutions? Provide ongoing (post-sale) service and support? 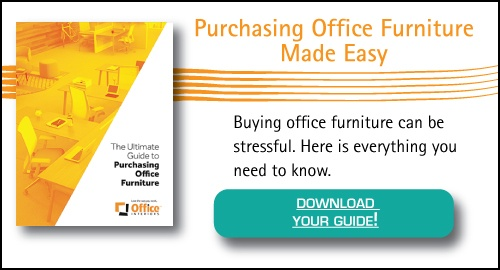 To get a more detailed breakdown of these criteria, you can read more about choosing the right office furniture dealer in this post Four Things to look for in an Office Furniture Provider. We certainly wouldn’t blame you for working with any of the dealers listed in this post, after all, if they weren’t a good choice why would they be on our list of the best dealers? Our primary goal is to educate and assist our customers. It’s right there in our mission: to help our customers create more productive work environments. We don’t want to sell you another chair; we want to help you find the right chair for you. Are you finished your digital research and ready to take the next step? Test how we measure up to the standards above by requesting your complimentary furniture consultation today!